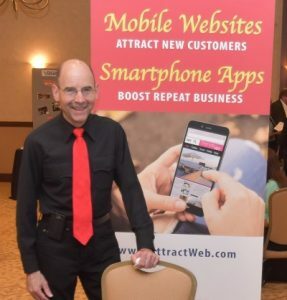 I tell prospective website and mobile app clients that Attraction LLC is different from other web designers in that I create sites from a business perspective, rather than from an overly technical or artistic perspective. That’s why I believe that my product will be more beneficial. The bottom line is what matters: attracting traffic, generating interest, and selling your products or services! Our goal is to give you an online presence that brings results! This no-nonsense (vs. overly “cool” sites or using heavy technical jargon) business approach is based on my background in operations management. I grew up in Queens, New York and graduated from the U.S. Merchant Marine Academy, then learned leadership skills as a Naval Officer for a few years. Living for 12 years in the San Francisco Bay Area before moving to Delaware, I held sales, retail management and operations supervisor roles. When the internet was born in the ’90s, ISPs competed with each other for business by offering extras such as “your own website”. With my beer bottle collection as the topic of my own site, I enjoyed it as a creative outlet and quickly became intrigued by the power of the internet. The vast majority of my web design, SEO, internet marketing, HTML code, video, social media, and now mobile app skills were self-taught. With over 11 years in business full time, I still enjoy going to my office every morning (all the way across the hall from my bedroom). Not only does a home office help me with low overhead, it makes working with clients more personal when they come to my “Beer Room” to discuss their goals. 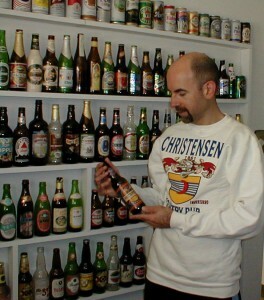 I tell them how collecting beer bottles actually helped lead to my business. But dwarfed by the shelves of bottles in that room, I have my 27 marathon finisher medals displayed on one wall. Although not as prominent, the medals represent my hobby of running (since 2002) which has been a much larger influence on my life. 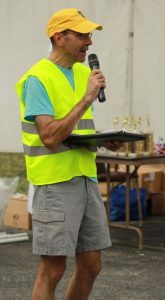 The training for and successful completion of these races has not just given me the “runner’s high”, but it’s greatly improved my self-esteem and confidence, both personally and as a business. I can literally say that “I go the extra mile” for my customers, and I have the resolve & determination to provide a winning result and help you reach your own professional goals! Besides treating my clients’ projects as if they were my own, I also donate my skills toward community and charity groups. I’ve created websites for Pike Creek Valley Running Club, my Knights of Columbus council, my USMMA college class, and the Little Sisters of the Poor, where for 6 years I was coordinator of Nun Run 5K, which raised over $100,000 for the needy elderly over that time period. Because online marketing is constantly evolving, I learn something new on every project and enjoy each challenge. I also enjoy playing an important role in the success of my customers, so I learn lots about their individual businesses. Every day is exciting, so I know that it’s unlikely that I’ll ever want to retire. This entry was posted in General and tagged beer bottles, charity, web design, webmaster on February 9, 2017 by recast.